John Wallace’s hard work and effort was rewarded by an Oregon State University scholarship for his future college career. 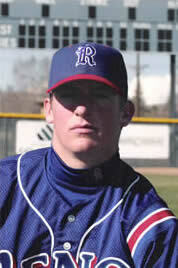 Wallace, who graduated in 2005, was an outstanding player for the Reno baseball program. OSU has a great baseball program which recently won the Pac-10 championship and reached the College World Series in Omaha, Nebraska.